WEB TIPS: How to Deal With Recent Google Panda Updates? Google Panda updates has affected the Page Rank and search engine rankings of several websites and it is very true that the recent Google algorithm updates have damaged a large number of websites. It was a tough stage for SEO and Internet marketing sector. The businesses and websites affected by Google Panda updates are not alive in search engine results and trying hard to get their rankings back. Now, to overcome the worst effects of Panda updates is a real concern for SEO experts and the people who are part of the Internet marketing Industry. Below is a small list of tips which can help them to see their rankings back in search engine results; it is hard but not impossible. Following are some precious tips/suggestions for those who want their rankings back in search engine results. The foremost thing is to stop all those activities you have been doing in Past. Stop all internet marketing techniques even they are white hat. You have to stop your all internet marketing activities for couple of months. Your SEO tools will not work for your website; it is waste of time because all these activities have caused your website penalized. Now there is not a single shortcut in SEO, so, follow only clean (White hat) SEO techniques. Avoid black hat tools if you are doing those unnecessary things then, your site will be blocked permanently by Google. It is your big mistake if you think that you are smart and Google can’t identify the black hat techniques you implement to market your business/website. So, use white hat SEO only because it’s only the last choice for you. Content is king! Yes, still it is J. Google ranks web pages according to the quality of their content. So, if you are serious about your rankings, use original and informative content and update it on regular basis. You should update your content within six months otherwise there are chances that your rankings are dropped from search engine’s results, though very rare but there is a possibility particularly when it is not a quality work/content. The important thing after quality content is the blog of site. You should have a blog even you have a business website. It is helpful and informative source for readers. Your blog should be based on readers’ interests and not for search engines only. 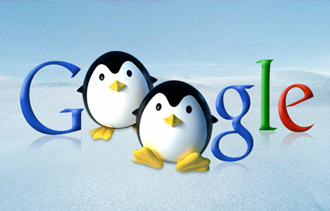 After recent Google panda and penguin changes if you follow these basic rules then I am sure you will retain your website on the top of search engine results. these are very useful advises for me to keep my site alive even the presence of Google panda soft ware which doesn't allow the spammers.